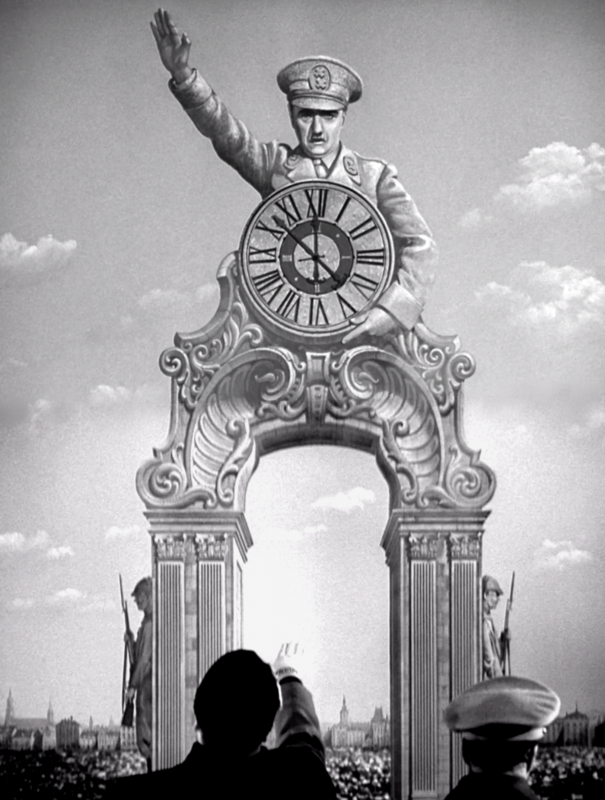 Also, my full review (posted on Letterboxd): Charlie Chaplin deftly plays on the edge of comedy and tragedy with this parody of Nazi Germany. Having only seen his silent films before watching this (coincidentally his first “talkie”, more than a decade after the advent of sound-on-film), it was a little odd to hear The Tramp’s voice, and I’m pretty sure I could see Chaplin reading cue cards in parts of the film. But the film was highly entertaining. Chaplin clearly spent a lot of money on the set design – I was baffled by how the archway pan was done in the scene where he and the dictator Napaloni arrive to fanfare. I was also impressed by how much Mel Brooks borrowed from the Hynkel character in Spaceballs as President Skroob; Brooks’ comedic timing in many of his films borrowed heavily from Chaplin, as he himself has admitted. Politically, this was a brave film. While the extent of the concentration camps wouldn’t be know until the end of the war, Chaplin addresses the issue and gets to the heart of anti-Semetism. Likely the most well known scene from The Great Dictator is the heartfelt speech at the end, calling on the audience to consider a more just and humane society. The words are still relevant nearly 80 years later.